Sanya, Hainan’s second largest city and biggest drawcard, attracts 80 per cent of Hainan’s tourism and lays claim to being China’s only tropical city. "In five years time you’ll be selling Sanya like you’re currently selling Phuket," Mr Warner added. 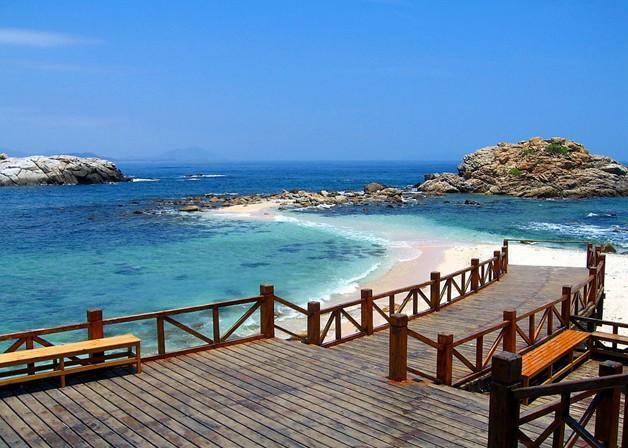 "In Sanya you’ll see the best of China". Literally meaning "South of the sea", Hainan is China’s southernmost province and is already popular among tourists from Japan, China and Russia. Dubbed the ‘Hawaii of the East’, Hainan is unique in all of China in that the island offers visas on arrival without the need for visitors to pre-apply for a Chinese visa in their home country.